The wine cellar must be considered one of the most prestigious aspects of the Resort Colonìa, a special place where the tradition of these lands will surely be appreciated. At “La Cantinetta” we will really have the opportunity to share with you our passion and we will take you to discover the aromas that our winemakers, through the generations, have been able to obtain thanks to the different vines of the area. Tastings will be accompanied by buffets of snacks and cured meats of local production. Our sommeliers will share their secrets with you and will reveal the art of combining the right wine with our gastronomic specialties. 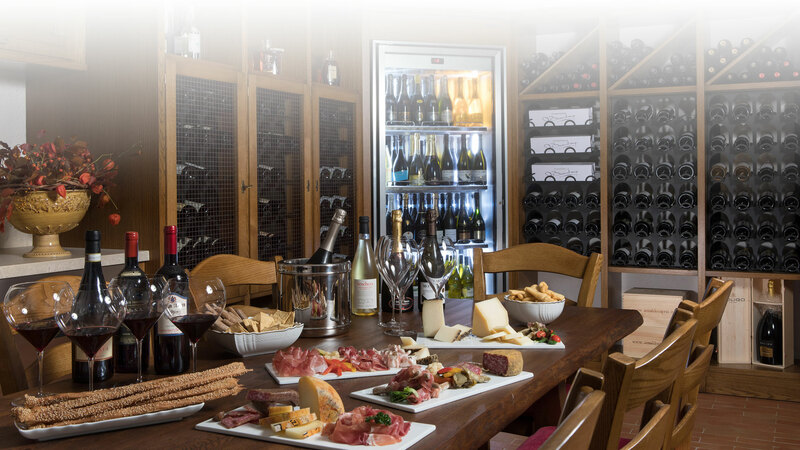 In addition to the classic local production of fine Prosecco DOCG, at the wine cellar, it is possible to taste wines of over 200 labels of the most renowned Italian and foreign regions. The best labels, the most renowned producers. The most prestigious producers; the best years. The most famous regions of the world; the unobtainable labels. The best combinations; the best proposals in the region. Always looking for new exciting aromas?